Tweets by @CavProSystems Cavity Protection Systems Ltd. TM introduce the patented Protection System. Providing total protection for the cavity, the roof, sides, back and base of a commercial microwave oven, saving not only hundreds of pounds in repair costs which are not covered by the manufacturer's warranty, but also valuable time in keeping the oven clean and hygienic. 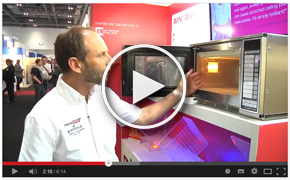 In brewery chains, fast food outlets, restaurants and hotels, literally thousands of commercial microwave ovens are in daily use, many of which are breaking down on a regular basis due to the lack of correct cleaning procedures. 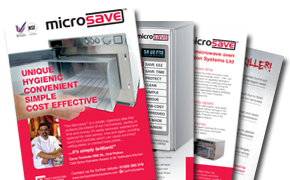 These ovens become the obvious candidates for the Cavity Protection System when considering the LOSS OF PROFITS due to the "downtime" of the microwave which could result in expensive repair costs, the Protection System is a clear necessity. The majority of these costs could be saved using the Microsave Cavity Liner, which protects the most vulnerable exposed parts. 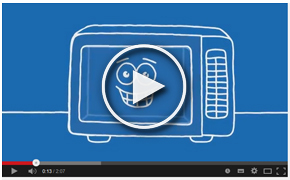 It massively increases the standard of hygiene and makes cleaning of the microwave simple, quick and efficient. Models available are the CPS1A which covers the SHARP range of Heavy Duty Compact microwave ovens and the CPS2A for the PANASONIC Heavy Duty Range.